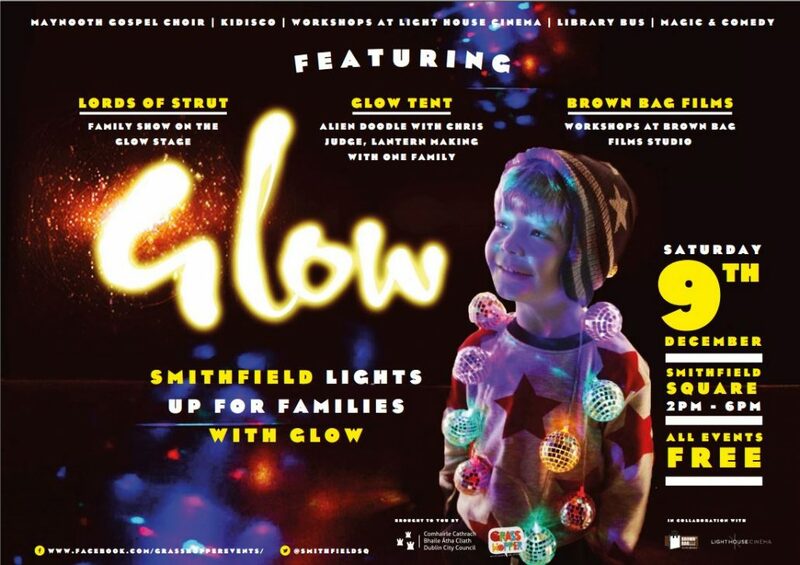 Families enjoyed the magic of a glittering winter event on December 21st as GLOW returned to Smithfield for the fourth year. There was an exciting line up of family activities consisting of comedy, music and indoor and outdoor workshops. It also included workshops and interactive activities at Brown Bag Films Studio on Smithfield Square and the Light House Cinema screened the muppets Christmas carol as part of their Naughty or Nice Christmas family season.